Maintaining a clean working environment is essential, regardless of which industry you’re in. Not only is a clean and hygienic workplace good for employees, but it’s also in the best interest of employees – because if there are germs and viruses floating around the workplace, you might find that your workforce is regularly weakened by illnesses. This might eventually cost your business a significant amount of money, so it’s definitely worth going the extra mile to make sure that the workplace is as hygienic as possible. The primary costs related to maintaining workplace hygiene effectively pays for itself through higher productivity. Yet, workplace hygiene can be a touchy subject at times and some employers are hesitant to enforce it with vigour. Here are a few suggestions you might want to consider to ensure that your work environment is as clean as possible. Provide hand gel and place them in certain areas of the workplace could help to encourage workplace hygiene, and make sure employees are motivated to use it habitually. You should also ensure that personnel have access to water in order to maintain hydration. Additionally, you should ensure that the workforce adheres to basic standards of hygiene, aiming to diminish the spread of contagious substances. It might be a great idea to put rules in place for using shared spaces, like office kitchens. Naturally, office kitchens can often be the areas of conflict in the workplace, so it’s advisable to ensure that everybody knows how to treat these communal facilities with a level of respect. The importance of keeping a clean desk should also be emphasised. Desks can often be breeding grounds for germs, and this is something that many employees are oblivious to. It’s more important to ensure that work areas are kept clean, as so many workers even have lunch at their desks – this is becoming progressively common in the workplace, as the lines between lunch breaks and working times can become blurred. Pointing out to employees what the possible health risks could be if they fail to keep their desks are cleaned properly on a regular basis is important. You should also guarantee that you have put a clear illness policy in place. This policy requires a sensible outline that’s reasonable for your workers. Don’t apply pressure on employees to come to work when they’re truly feeling ill – this is just a guaranteed way of placing others at risk of infection. Again, this will probably prove counterproductive from the viewpoint of the employer, as other employees could consequently fall ill. Personal hygiene also needs to be emphasised. It can often be a delicate matter – nobody enjoys being told that their personal hygiene is below par – however, meagre personal hygiene can be problematic in the workplace. Handle the matter with sensitivity when problems do arise and don’t condemn people for not achieving the expected hygiene standards. Merely, reiterate the significance of upholding general standards of hygiene within the workplace, and make it plain that it’s important for every member of the workforce to uphold their end of the stick. The condition of your work environment arouses a subtle yet powerful impression of your business and Dynamic Cleaning Services’ primary concern is ensuring that the hygiene of your workplace is sustained and of a high standard. 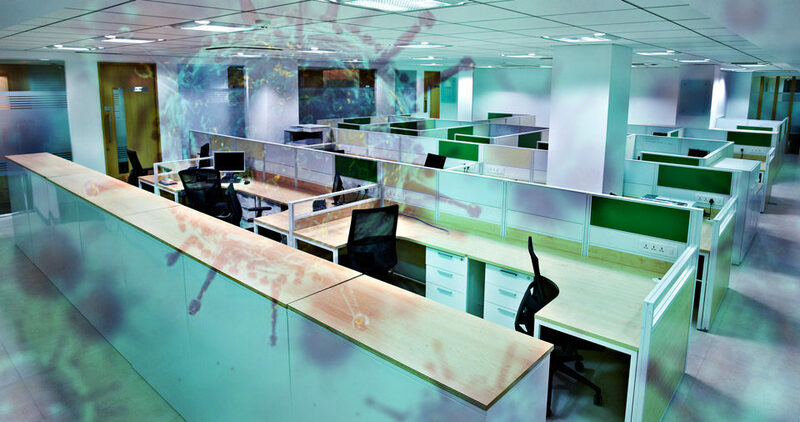 Therefore, Dynamic Cleaning Services strives to reach the height of sanitation and hygiene, and the eradication of bacteria, viruses and all other infections in your commercial space. Dynamic Cleaning Services is also dedicated to understanding the hygienic needs within the working environment. 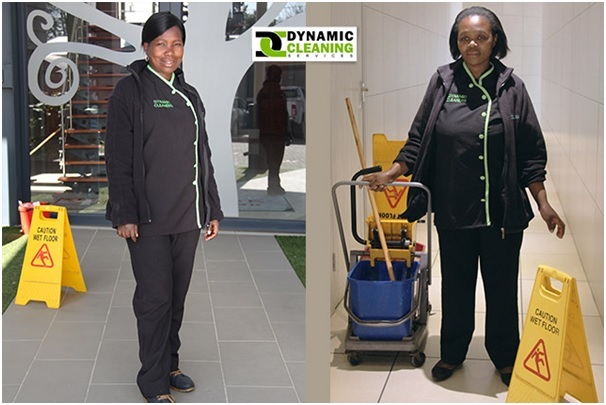 Dynamic Services offer cleaning and gardening services to the commercial sector. We do not offer our services to the residential sector.